Spokane Buyers Home Warranty Information! Home warranties have become an effective means of marketing a home in today's real estate market. During the last few years, home warranties have grown to become more popular due to our courts legal system. Every day, Americans are purchasing warranties for automobiles, appliances, computers, televisions, and many other items. Now some buyers are asking for a home warranty for their new home. Purchasing a home warranty with your home is a great benefit for the buyer if something were to go wrong after closing. If you choose to purchase a home warranty for your home, be sure to read all documents provided by the home warranty company very carefully and make sure that you completely understand what "IS" and "IS NOT" covered under the home warranty. 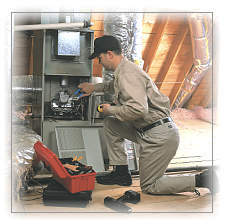 For your convenience, we have included information from a home warranty company for you to review. 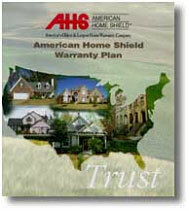 American Home Shield also provides marketing materials for you to use including a Home Warranty sign rider and a table top or counter display sign to use inside the home showing that you are providing a home warranty.